Today your in for a real treat. My friend Erin from The Lemonista is our guest blogger. very special lemon tree! Did I mention she just finished writing a book? YUMMY! Thank you Erin for being our guest today! Please stop by her blog and tell her hi! I'm so excited to write my first guest blog for Glitter today! 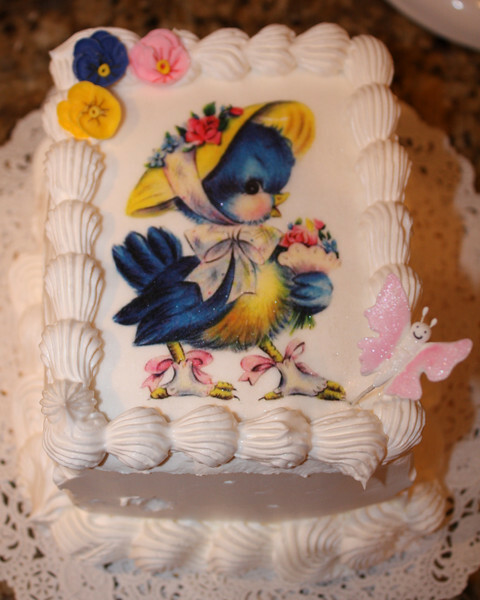 I thought I'd post a simple elegant dessert that can be whipped up in a flash for any special occasion. 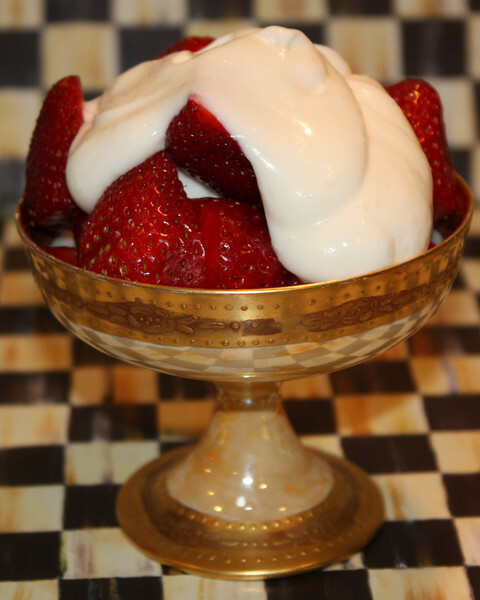 Growing up, Strawberries with Cream Cheese Topping was one of my Dad's specialties and a treat my sister and I always looked forward to. Fresh strawberries are the star of this sweet creamy dessert, so this is especially good when the berries are in season. Soften your cream cheese by bringing it to room temperature and whip smooth in a mixing bowl. Add 3/4 cup of Confectioners Powered Sugar and 3 tablespoons milk. Whip until smooth with an electric mixer. Cut ripe strawberries in half and pile them in a pretty serving dish. 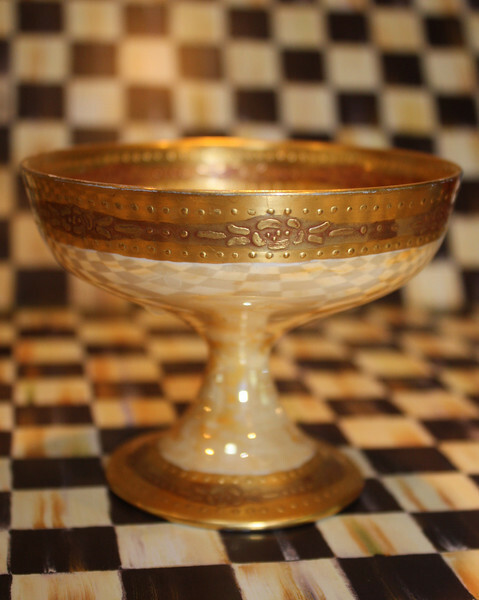 The French Haviland dish I've chosen today was a gift from the wife of one of my husband's partners at his firm. *swoon* It's no secret that I have a romance with my dishes. 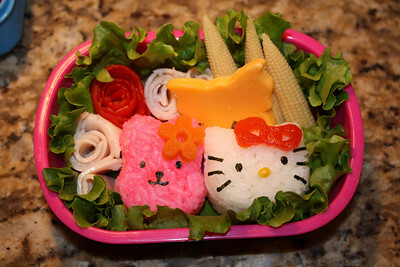 There's nothing like a pretty dish to make your food sing! 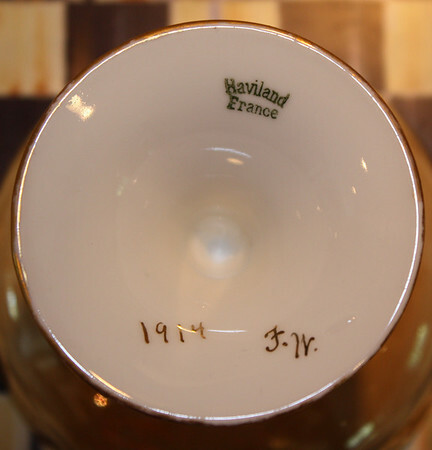 The bottom of the dish has the artists initials and the year it was made painted in gold. 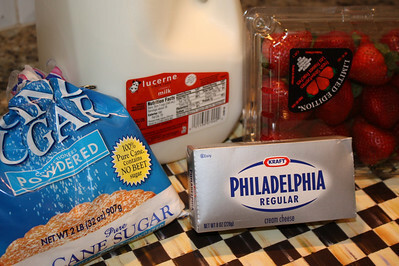 Spoons some of the cream cheese topping onto the strawberries and serve immediately. If you would like to make this dessert a head of time, just place the cut berries and cream cheese topping in the refrigerator in separate bowls until ready to serve. 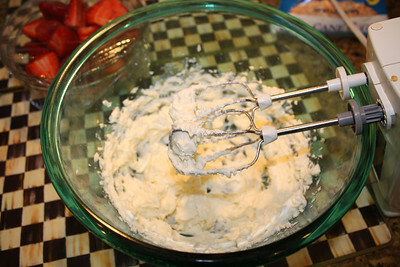 Soften your cream cheese by bringing it to room temperature and whip smooth in a mixing bowl. Add 3/4 cup of Confectioners Powered Sugar and 3 tablespoons milk. 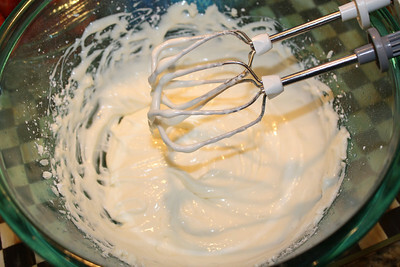 Whip until smooth with an electric mixer. 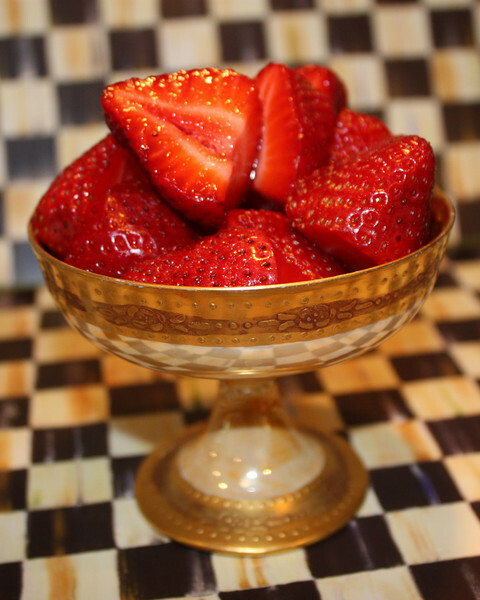 Cut ripe strawberries in half and pile them in a pretty serving dish. 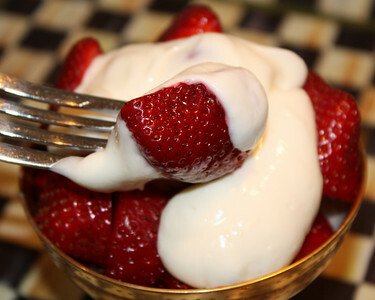 Spoons some of the cream cheese topping onto the strawberries and serve immediately. *If you would like to make this dessert a head of time, just place the cut berries and cream cheese topping in the refrigerator in separate bowls until ready to serve. Thank you so much, Kelly, for hosting me today.